With gas prices hovering near $3.50 a gallon we have to think outside of the box as consumers. Every mile you drive really does cost you something. And each mile you drive is costing more and more. The IRS now says that it costs around 55.5 cents a mile to operate your vehicle. Obviously not every ride costs that much to operate and the older your transportation device is, the less it is actually costing you in most cases. Most of us look at driving as a fixed expense though. We think that there’s no way around it. “I have to get to work and back. I have to drive up to see my folks this weekend.” To a certain extent that is true. If you have a long commute there probably isn’t a feasible alternative (except for carpooling). If you live closer to your work you could think of some alternatives (riding your bike, walking, public transit). But lets focus on the miles that you drive that cost you the most: the long trips. My wife and I live in Atlanta but she is originally from Memphis. We try and get back there every few months to hang out with her family. After a while it was really killing our wallet to make that trek every few months. If we factored in the IRS rate it was technically costing us $410 (considering the age of our car it doesn’t really cost quite that much). Gas is only about one third of that cost but I had to get the oil changed much more frequently, my tires were wearing out more quickly, and there was definite opportunity for something major to go wrong with the vehicle. Last time we traveled to Memphis we did it for $14.50. No, we didn’t hitchhike (although for the incredibly brave not a terrible idea). We took the bus! In our car-centric society most people don’t even think of this as an alternative. Hopping on a bus is something that doesn’t cross our mind and doesn’t appeal to us. With the incredibly inexpensive bus service options now, it really should be something you contemplate. The service we use is Megabus but there are a few different players in this market. They have seats that start as low as $1. The further out you book the more likely you are to get the cheapest seats. You should definitely plan ahead for the biggest savings. Emily (my wife) and I have both used Megabus four or five times now and it works like a champ. Usually after a 6 hour driving spree to see her family I am tuckered out and have to rest for a bit. Megabus allows me time to sit and read, watch a movie (they have WIFI, although it doesn’t always work), take a nap, or whatever else I want to do. By the time we arrive I am relaxed, happy, and up for anything. 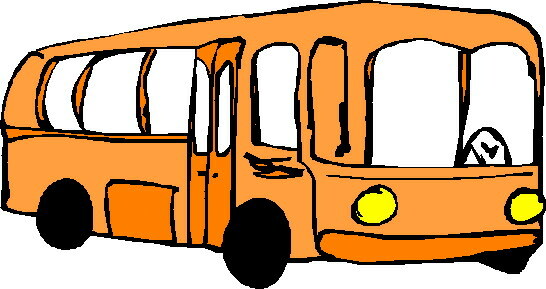 So we are saving tons of money by taking the bus and it is actually a much more enjoyable experience, a double benefit. I don’t feel like I have wasted 6 hours behind the wheel. Next time you are heading to your relative’s house for the holidays or making the trek to a friend’s house for a long weekend, consider taking the bus instead. There’s no need to fire up your ride and burn all that gas and cash. You have a choice. Use it. This is a great tip! We have limited access to the Megabus in our area (only takes you to 3 other cities) but I’ve taken the Megabus to Chicago twice now – once for $15 and $26 another time. The second time I did wait to book and watched the price double so booking early is a good point! Booking early is crucial. I’m glad you’ve gotten such cheap tickets Emily. Well done.